If you have been to Hotel Ca’n Bonico before, you probably already know that we’re located in one of Mallorca’s most beautiful areas. Mallorca’s South is known for its wonderful beaches, its stunning landscape and its beautiful towns and villages. And this part of the island is also known as the perfect scenario for tons of outdoor activities taking place all year around. One of the highlights in the area is ‘Mallorca Olympic’, a triathlon taking place on May, the 4th. Combining swimming, cycling and running this is one of Mallorca’s most important sports events. 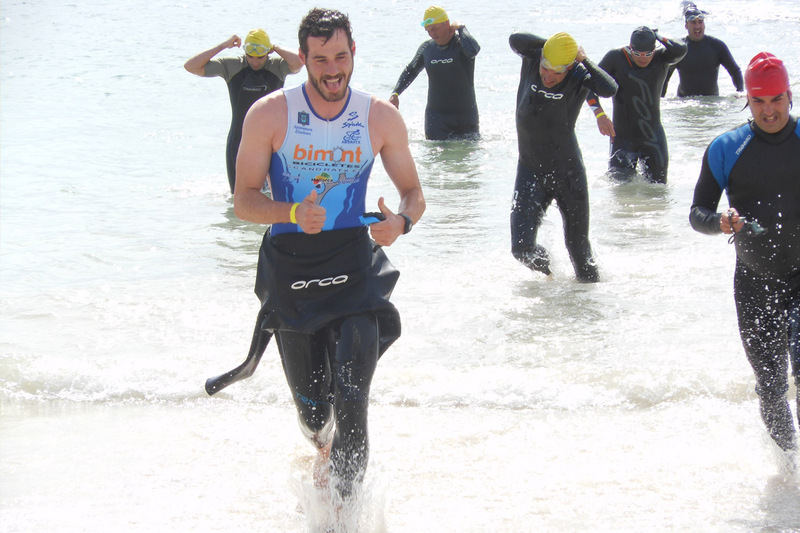 Colonia Sant Jordi is the perfect place for a Triathlon event. This town is fast becoming the destination of choice for club and elite Triathletes. It’s actually a town famous for who has been training here in the past decade: Andreas Raelert and Marino Vanhoenacker trained before Hawaii 2010, Normann Stadler, Jan Frodeno and Daniel Unger chose to train in spring 2018 and so on. The marshalling area and start of the race will be on the beach next to the small harbour in the beach town of Colonia Sant Jordi. The swim will be alongside the beautiful beaches of Es Carbo, then follow the railings and carpet up into the transition area, which will be the main car park next to the harbour. Follow the Marshalls and railings through the exit and onto the bike course. As the roads will be closed, the course will be easy to. It will be a fast, flat course with long straights and gentle curves. The final run will take you through part of the town and then onto the sea front, where you will have a fast run alongside the coast, looking across to the island of Cabrera. The finish will be on the palm tree lined pedestrian area on the beach front by the harbour. If you’re thinking about signing up for this amazing experience, you can do so by clicking here.